My practice is an exploration of the human form. 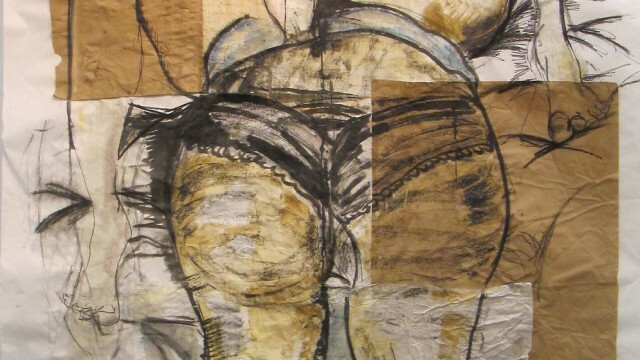 Working in performance, photography, drawing and ceramics my visual practice uses these mediums as a form of journaling using my own thoughts and experiences to explore intimacy, desire, sexuality and objectification. Acknowledging my own body image, I play with my anxiety and self-doubt through different forms of self-portraiture. Within my current work, I use make-up and the constraint of children’s clothing. I address concepts of innocence and naivety through various acts of concealment and revilement. During Luminous Bodies residency, I will confront my physical insecurities as a youth by exploring bodily forms that I associate with aging. Creating extensions for my body using nylon and objects of weight and mass, I will meet my bodily insecurities by establishing new norms. Living in different extensions throughout this thematic residency, I will document my time within a new skin recording my experience within these exaggerated bodies. This documentation will be done through photo, video, drawing, painting or a combination. Stefani Celine Through her work in theatre and film, she gained an appreciation for performance and its potential as a medium for greater expression. She completed an Honours BFA at Lakehead University. Celine works and lives in Thunderbay.